It’s thought that about 30-40% of cases of pancreatic cancer (ductal adenocarcinoma of the pancreas) may be attributable to smoking tobacco. Now comes more research about additional possible bad effects of smoking. Brand and colleagues from the University of Michigan recently published a study in the American Journal of Gastroenterology that showed that alcohol and tobacco use ~ in a dose related manner (more: makes it worse) ~ are each associated with an earlier age of the onset of pancreatic cancer. This unfortunate effect appears to go away after about ten years of abstinence. In a separate recent study in the European Journal of Cancer, Schuller and his colleagues at the University of Tennessee vet school found (in cells and in live mice) that tobacco smoke AND nicotine replacement therapy reduce the treatment effect of gemcitabine (one of the mainstays of chemotherapy in pancreatic cancer). They suggest clinical studies in patients to further explore these research findings. Bonnie Gail Franklin passed on today at age 69 due to pancreatic cancer (ductal adenocarcinoma of the pancreas). To those of a certain age (this author included) Ms. Franklin will always be associated with Ann Romano, her role as the divorced mother of two in the sitcom “One Day at a Time” on CBS from December 1995 until 1984. This was one of Norman Lear’s series that attempted to portray a more real America to TV viewers, and Bonnie Franklin admirably filled that role. She played the Ann Romano role as complex with the uncertainties as well as compensations of a single mom raising her girls in a changing world. The daughters were played by Mackenzie Phillips (daughter of founders of the Mammas and Pappas pop singing group) and by Valerie Bertinelli (who later married rock star Eddie Van Halen – and has continued on as a star in her own right). Pat Harrington played with humor the character of the building supervisor, Dwayne Schneider. Bonnie Franklin was a California gorl. She was born in Santa Monica and attended Beverly Hill High School. Later she went to Smith College and eventually back to UCLA. Her first role as an actor was at age nine in the Colgate Comedy Hour. . She acted in television, movies and theatre including Broadway productions. She was nominated for Emmy awards, a Tony, and for the Golden Globes. 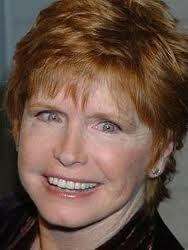 In September of 3012 Bonnie Franklin was diagnosed with pancreatic cancer. She died at her home in Los Angles earlier today. May Bonnie Gail Franklin rest in peace. And may her friends and family accept our deepest condolences. She was a lovely and talented actress. Capecitabine Instead of Gemcitabine in Locally Advanced Pancreatic Cancer ? Overshadowed perhaps by the positive results of Von Hoff and colleagues’ research on Abraxane plus gemcitabine for advanced pancreatic cancer (ductal adenocarcinoma of the pancreas), an interesting study on the treatment of LOCALLY ADVANCED pancreatic cancer was presented at the recent ASCO Gastrointestinal Cancers Symposium in San Francisco late January. In locally advanced cancer of the pancreas the treatment is generally chemoradiotherapy, meaning radiation therapy plus chemotherapy – the chemo often being the drug-agent gemcitabine. Mukherjee of Oxford University and British colleagues presented a meeting abstract of the results of their work on a Phase II clinical trial that showed a modest survival advantage by using capecitabine (Xeloda) as compared to gemcitabine as the chemotherapy component of chemoradiation for locally advanced pancreatic cancer. The results were later published in the April, 2013 issue of The Lancet, Oncology journal. Capecitabine is a pro-drug that is converted into 5-FU by the body. It has the advantage of being given orally. The study results by Mukherjee indicated that the regimen that included capecitabine offered less side-effects as compared to that of the gemcitabine regimen. 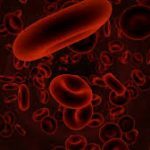 It will be interesting to see this work followed-up in other peer-reviewed medical journals – to see if the results will be replicated over time. Posted in Pancreatic Cancer | Comments Off on Capecitabine Instead of Gemcitabine in Locally Advanced Pancreatic Cancer ?